If you add up all the aid that all OECD countries have given since they started counting it in 1960, and then assume that the only thing that this aid has achieved was the eradication of smallpox, then the whole thing would still be a bargain, costing less than half what the UK National Health Service spends on average to save a life. Here are the numbers. According to the OECD, total aid since 1960 has been about $2.6 trillion in cash terms, which works out at about $4.7 trillion in 2013 prices (that is, taking account of inflation). The story of the eradication of smallpox is told in one of the chapters of the CGD book, Millions Saved. As is documented there, though the eradication of smallpox was mainly financed by the affected countries, the effort succeeded because of the contribution of foreign aid (though I acknowledge that no one can say for certain what would have happened in the absence of aid). These days most of us do not remember how terrible smallpox was: it has killed more people in history than all wars put together. Since the last death from smallpox in 1978, somewhere between 60 million and 120 million premature deaths have been averted by its eradication. The UK’s National Institute for Health and Clinical Excellence (NICE) uses a cost-effectiveness threshold of roughly £100,000 per death averted. A treatment which costs less than £100K (or $160K in USD) to avert a death is regarded as good value for money. Some British newspapers – including papers which are hostile to foreign aid – argue that these cost-effectiveness thresholds are too low. The Daily Mail, which calls NICE a “rationing body”, says that we should be willing to spend more that this to prolong life or improve its quality. Perhaps we should: the threshold used in America is far higher, and in other public policy contexts we use much higher figures than this for the value of a human life. So even if we make the absurdly conservative assumption that the only thing achieved by the totality of all foreign aid has been the eradication of smallpox, and that this saved only 60 million lives (which is the lower end of the range), then the cost per death averted has been less than half the cost which we say is good value for money to avert a death in the UK National Health Service, a threshold that is often regarded as too low. Unless you want to argue that we should value a British life at more than twice the life of an African, then we can conclude that foreign aid has been, on average, good value for money. 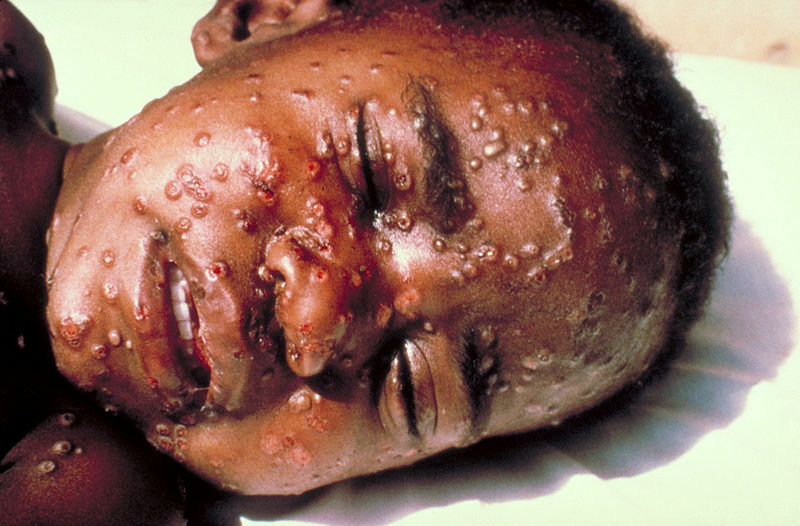 Of course, the eradication of smallpox is not in reality the only success to which foreign aid has contributed. As well as ending deaths by smallpox, aid has contributed to reductions in deaths caused by malaria, diarrhoea, and diseases, together averting about 10 million deaths a year (roughly equivalent in deaths averted to eradicating smallpox six times over). The Green Revolution in agriculture may have averted a billion deaths from hunger. Millions of children have gone school, and families been given access to clean drinking water and electricity. Farmers have been given access to irrigation, seeds and fertilizers, and entrepreneurs have been given small loans. Governments have been helped to collect tax and organise elections. Millions more women have access to family planning. And there is evidence – including this award-winning paper – that aid has, on average, helped to increase economic growth and rising incomes. But it turns out we don’t need to include any of those benefits in our calculation to know that aid has been good value for money. This is not a call for complacency. Some aid programmes fail, and some of those failures are avoidable. We can continue to improve the value for money of aid, and we have an obligation both to taxpayers and to the people we are trying to help to do so. We should be conscious of the opportunity costs of using aid in the way we do, rather than in some other way which might help people more. I am proud to work for an organisation which devotes quite a bit of time and effort to finding positive ways to help to make aid better, as well as arguing for other policy changes to accelerate development. The conversation about how to improve aid is important: but please let’s start with the recognition that aid is already fantastically good value for money.